MK Tibi responds to Trump's comments indicating that he could live without a two-state solution. 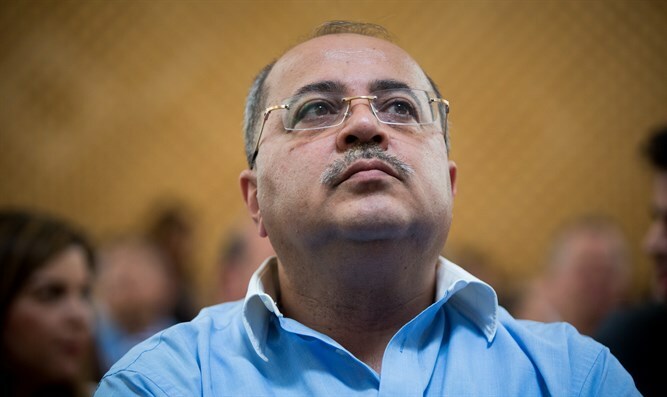 MK Ahmed Tibi (Arab Joint List) said that if the idea of a two-state solution is shelved, he himself will be Prime Minister of the resulting one state. In an interview with CNN, Tibi addressed the declarations of Netanyahu and Trump at their joint press briefing and said that, should a “one-state solution” be decided upon, he intends to run for Prime Minister against Netanyahu. Tibi’s comments come in light of US President Trump’s comments last night indicating that he was not necessarily committed to a two-state solution and that he would be happy with any agreement Israel and the PA reach. "I'm looking at two-state and one-state, and I like the one that both parties like. I'm very happy with the one that both parties like. I can live with either one." The PA blasted the statements, with one unnamed PA official telling Kol Yisrael radio that Trump’s words were "the biggest disaster it was possible to hear from the American president."